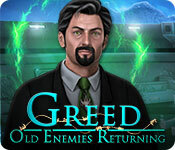 Greed: Old Enemies Returning is rated 2.6 out of 5 by 16. Rated 5 out of 5 by CyndiLouWho2 from Game length is short, but so what? People giving this game a low rating because it doesn't drag on and on is unfair in my opinion. Old Enemies Returning held my interest all the way through to the end, so I had no time to get bored. I didn't have to stop playing because I was tired. To me, the quality of a game is more important than the length of it. This addition to the Greed series was pretty much perfect in every way. Yes, there could have been moving characters whose lips moved, but it really wasn't necessary. Graphics were old school but done well. Everything was crisp and clear. Puzzles were fun and mostly easy to complete. 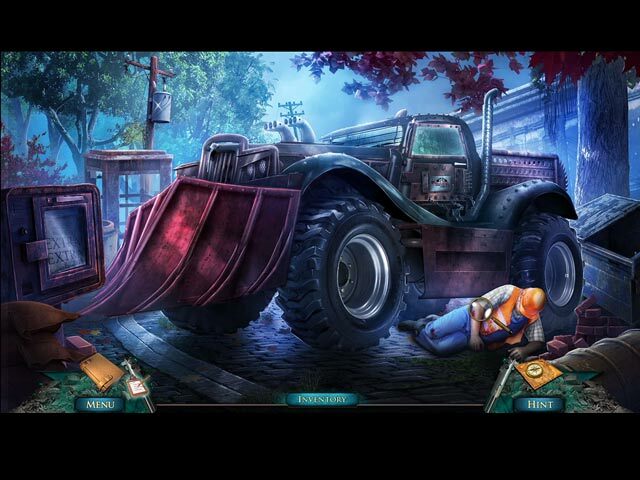 Hidden object scenes were standard but I prefer them that way. I personally don't like all the little multi-action scenes that now seem to be the norm. There were different modes of game play, the story line kept me interested and the music and sound effects were top notch. Yes, the game was on the short side, but so what? If I totally enjoyed myself, then what's the difference? Rated 4 out of 5 by charlene_lane from WHAT HAVE YOU DONE JOSEPH FALAANA? REVIEW OF COMPLETED GAME I love these older style type games. No, you're right, there are no bells, whistles or bling, but I was still happy to play this game. There is: * Voiceovers (with dialogue); * Easy, Hard, Expert and Custom modes; * Interactive map; * Journal. The graphics are very good. Everywhere is clear to see and no blurry bits. Sound is good and the music is piano and chanting. The storyline is easy to follow, which follows on from the earlier 'Greed - The Mad Scientist'. There is also 'Greed - Forbidden Experiments' to play as well. 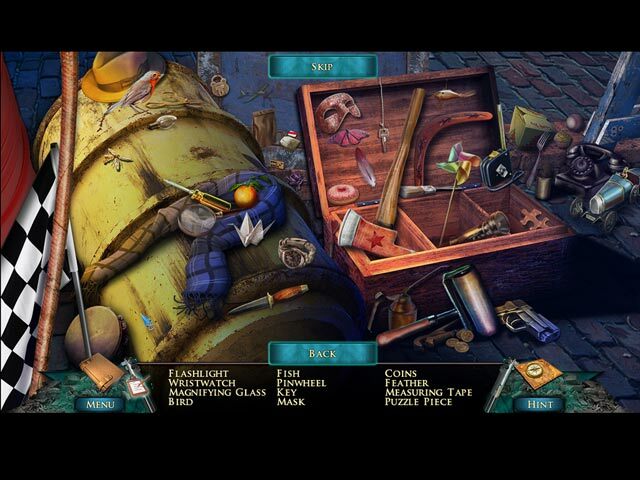 The hidden object games are straightforward and silhouette which you will do twice. Items to find are clear to see and each HOP only takes a couple of minutes to do. I enjoyed the mini-games. Honestly, these are very easy to do. The instructions are clear, so no problems solving them. They are your normal run of the mill mini-games that you will have seen all before. Overall, even though it is a very basic game, I still enjoyed it. The game took me about 3 hours to complete. I've played the other two Greed games and I enjoyed those as well. So, if you have a spare PCC and want something to play, go and check out the Greed games. They are great to play in between those big grunty games we play. You can stop, go off and do something else, come back and know exactly where you are. Happy playing fishies. Rated 4 out of 5 by yel65sel from OLD ENEMIES RETURNING IF YOU LIKE OLD SCHOOL GAMES THEN THIS IS FOR YOU. VERY SIMPLE GRAPHICS, NO LIP MOVEMENTS, VERY STATIC. STORY LINE IS FINE, GAME VERY EASY TO GET AROUND. i RECOMMEND THIS GAME FOR ALL WHO ENJOY A SIMPLE STORY WITH NO HIDDEN SURPRISES. Rated 2 out of 5 by 53_model from Oh my So sorry but this is a dreadful HO...almost like a "stone age" game...Flat graphics, mini games ok, but trial which was about 15 mins was extremely boring...thumbs down on this one. Rated 2 out of 5 by middleagedmale50 from Greed gone bye bye I will defer to far better people that write a good story description than I can, but as a person that has purchased the first two games, I was hoping for one equal or better. Sorry to say I am disappointed. I am tired of ghosts, demons, smoke monsters, murder stories, and witches. I enjoy sci-fi but it seems that the developers have run out of gas in ideas for this last game. So, I recommend the first two greed games for you to try. They are not home runs but a solid double that I think many will enjoy. I still play the first two greed games from time to time I still enjoy them. See if you agree. Rated 2 out of 5 by Granny_Gruff from Not the Way to Start Off 2018! Sara has called Amy Turner to ask for her help once again. Amy helped Sara investigate when her father, a noted scientist, was killed just before he unveiled his universal cure for diseases. He had spent years trying to find a cure for his son's illness and, just as success was almost in his grasp, he died. 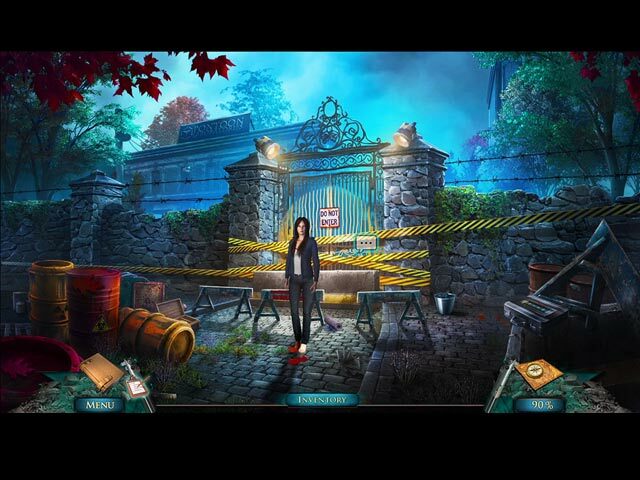 Amy helped Sara to investigate in the earlier case, as told in the first Greed game. The government was supposed to be restoring the lab to further the good doctor's research, but now the newspapers were announcing the demolition of the labs, apparently due to ghosts at the site. Sara won't let her father's research be lost so quickly. You both enter the restricted area to see what is really going on. (There is a second Greed game, but there seems to be little or no connection with the first and the third games in the series.) Good stuff: The computer generated graphics are crisp and the VO's sound well acted. There are the average game elements and a conspiracy story line. The game has five levels including a custom level. We find a special gun to use on the glowing green residue left behind by the ghosts as they move from area to area. You have to find a new chamber for it after each use. Bad stuff: A lot was forgiven by gamers as they played the first two games, mostly because they had collectibles and a decent story. But those games came out in 2013 and 2015. Computer games have moved forward while the Devs of this game have stayed in 2013. Added to the frozen in time game play are the odd bits that I might overlook for collectibles and a couple of better puzzles and HOPs: I pick up three batteries from the ivy on a wall and they fit into the TWO battery area of a spotlight. Inside the grounds is a worker laying on the ground. We watch as he is attacked by a ghost. Good thing he was already laying down on the job or he might have even worse injuries! You find a piece of equipment missing a tuning fork. You play twice through a nearby HOP that has a tuning fork without getting the tuning fork - you later "shoot" it out of the top of a pole on the roof using a slingshot and a paper wad. There are more moments like that, but I'll let you have the "fun" of discovery. Frankly, I wish they had tried a little harder in the two years since the last game to step up their development skills. Take a look at the Demo and see if you are ready to step back in time. Rated 2 out of 5 by Polecat1 from Short, poor quality, disappointing So, you are again trying to save the day. This time you must stop the evil people from stealing the cure that your father wanted free for all. (I don't remember it saying what the cure is for.) The game play is very short. This is good because half the time I clicked on items, it did not register with the game and I had to use a hint, which told me to use the item I was trying to use and where it had to be placed on the screen. A lot of THAT time, I was putting whatever the item was on the right spot. The placement is very exact. And very frustrating. This is the bad quality. But the graphics and sound are good. As for the HOS. They are easy to see and find. But they get reused a lot. There is a skip, but it takes about 2 minutes to be able to skip. I didn't time it, but that feels about right. Puzzles are very easy. There is a skip function here, too, and again it seems to be about 2 minutes. The characters' mouths do not move when they talk. It's a little old school and a little dis-concerning. (More bad quality.) All in all, I wish I hadn't bought it. Bleh.